Zé Luís was born in such a place where football is one of the few pleasures which people can afford, that’s why his countrymen are proud of him. In Spartak Moscow F.C. all have already got used to the fact that if the music plays, their forward is somewhere close. Zé Luís is the owner of the unusual name and exotic nationality – he is Cape Verdean. 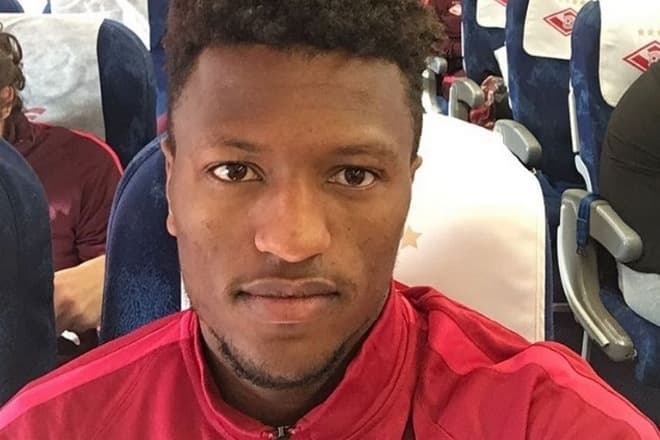 According to his passport, his name is José Luís Mendes Andrade. The football player was born in this island state at the west side of Africa in January 1991. He was the youngest of his three brothers. The brothers Andrade have different lives. One of the brothers moved with his family to the USA and tried to settle there. 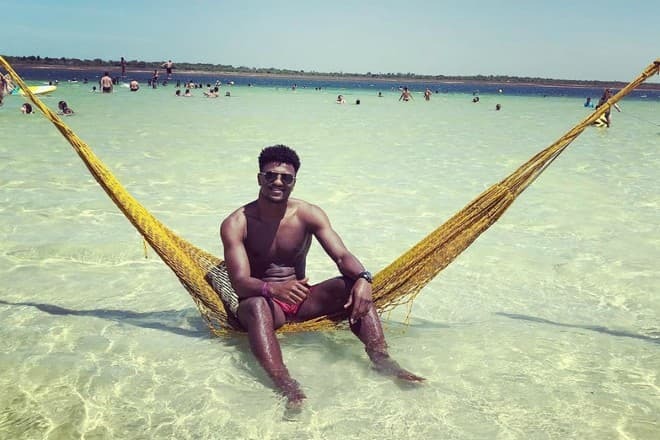 The second brother, by the words of Zé Luís, stayed with his mother in Cape Verde, began to have alcohol abuse and doesn’t want anything in his life. What about Luís, he was studying at the school with breaks. He spent a month for studies, and another month he attended the Epiph local football academy. His family led a modest way of living. It was the president of the academy who presented first football boots to the guy. His mother, despite all the difficulties, had taken all possible efforts so that her youngest son wouldn’t have to work and could dedicate more time to his education and football. The forward said that in Cape Verde there were no football schools in the European understanding, but everybody had sport in his blood. Everyone who achieved even the slightest success sought to leave islands and to move to Europe. During one of the trips of the local team, Zé Luís got the offer to follow such a way. The guy didn't even ask about the salary and at once accepted this offer. Still being a teenager José managed to take part in the matches as a part of Portuguese Leixões Sports Club and Freamunde S.C., then he gained practice and experience in Romanian Gloria F.C. At the age of 18, Luís moved to Portugal and tried himself on the field as a part of Gil Vicente F.C. and Sporting de Braga B teams. In 2013 he won Portuguese League Cup. Thanks to Braga and recommendations of his mentor Sérgio Conceição the forward subsequently found himself in Russia. In summer of the same year, Videoton F.C. rented Zé Luís from Hungary. José Gomes wasn’t just a coach for the football player. The sportsmen had had friendly relations. The team reached the final of Hungarian Cup due to the participation of the new forward. Luís considers that he had managed to develop his professional skills in the Hungarian football club. In 2015 the most significant football clubs from the Portuguese "Big three" - Benfica, Porto and also Dynamo Moscow got interested in Zé Luís. However, the football player concluded the contract with the capital Spartak football club. The sum of the transfer reached €6,5 million. The agreement is in force with the forward till 2021. For his career including the season of 2017-2018 Zé Luís has played for red-white team 73 matches and has scored 21 goals. 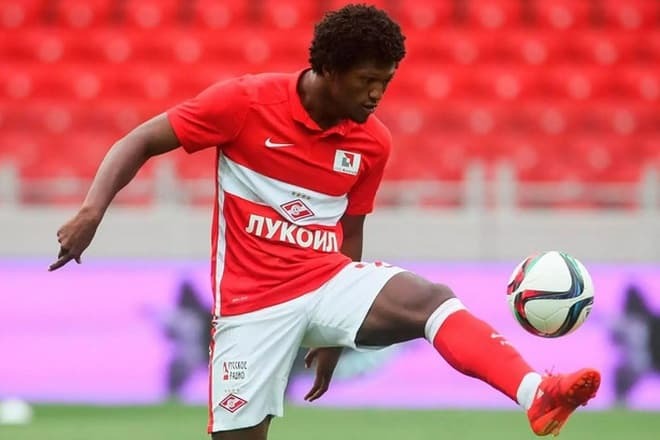 Luís joined Moscow Spartak football club being a player with the unique jumping ability which is ordinary for the football player with the height of 185 cm and the weight of 84 kilos. When the team had a penalty, the football player jumped out about a meter and with ease hit and scored the ball with his head. With time the football player changed his way of playing. José began to look for the ball in the field, without wasting time while waiting for the pass from the partner. He made his rivals feel nervous with the frequent change of speed, passes, and positions. In the match of Premier League of the season of 2017-2018 FC Akhmat Grozny defeated Spartak. The wisecracking sports commentator Vasily Utkin illustrated the event on Instagram with the picture of the black dog surrounded by the sheep, mentioning Luís in the comment. This post caused outrage, Utkin had to apologize, and later he had to delete this scandalous post. According to the explanations of the journalist, he had made this post at the request of very influential people. The commentator had earlier demonstrated his disappointment with the game of the forward, pointing to sad statistics and asking Zé Luís on Twitter the question - "Where are the goals?". It’s an ordinary thing to get traumas in football. The Cape Verdean also had injuries. We can say, that Luís has exotic wounds. He had a sprain of abdominal muscles what was more characteristic of the goalkeepers. Moreover, he had infringement of the nerve of the inguinal canal. Every time the football player left the game for several weeks. Eventually, journalists began to question the head coach of Spartak F.C. - Massimo Carrera whether he was tired of the significant number of injuries of the football player. Because of these injuries the player had hardly taken part in ten matches on the field of Russian Premier League - 2018. There is a lack of clarity in the private life of Zé Luís. 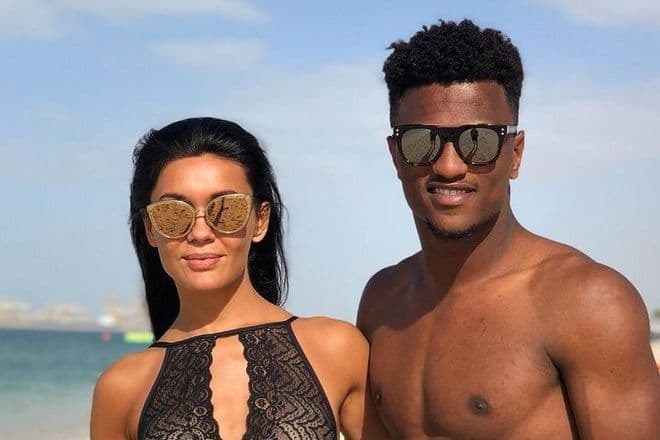 The football has a civil marriage with Rafaela, and they have two children – Mia and Leo, but his family stayed in Portugal. 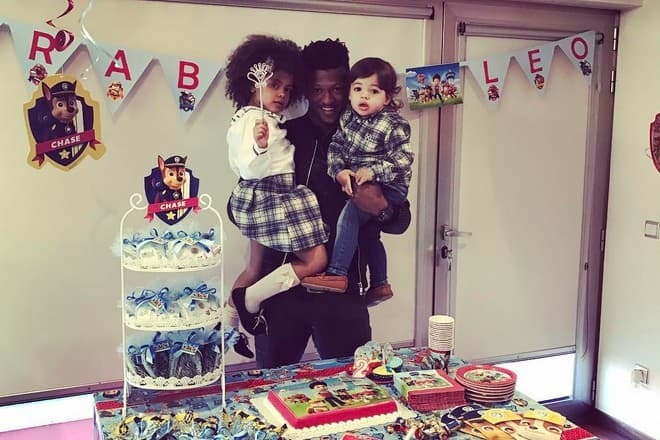 At the same time his daughter has serious health problems: by the words of Luís, the girl has to undergo screenings each month until she turns seven years. At the beginning of 2018 new photos on the forward's Instagram puzzled his fans. At these photos, Zé Luís appears with the Russian girl called Alesya. The girl is a graduate of the capital higher school of fitness. Also, she is a professional dancer and choreographer, and she has her dance studio. The couple spent their winter holiday in Rio de Janeiro. The new passion of the football player posted corresponding images on her page in the social network. As the Sportfm.ru portal stated, it’s not worth judging the young people without knowing the details of the situation. But Spartak football player is apriori a public person, and it would also be entirely reasonable to comment on this situation. "And if you don't want to show your personal life at public attention, you'd better conceal it. And so, in a "naked" way, it looks sad." During the season of 2017-2018 Spartak lost its champion title of Russian football champion. As a consolation prize, the team got an opportunity to fight for the right permit to UEFA Champions League. Moscow Dynamo became the rival of Spartak. They met in the match of the last tour of Russian Premier League, and Dynamo defeated the team of Zé Luís. As a result, Spartak team got to the Champions League only through the qualification tour. Already at the beginning of the year there appeared information in the press that the newcomer of English Premier League – Brighton & Hove Albion Football Club – was ready to redeem the Spartak forward for £20 million. "The Mirror" edition stated such sum of money. However, the coach of the team Chris Hughton reported that it was just rumor and there didn't seem to be any transfer of Zé Luís at all. 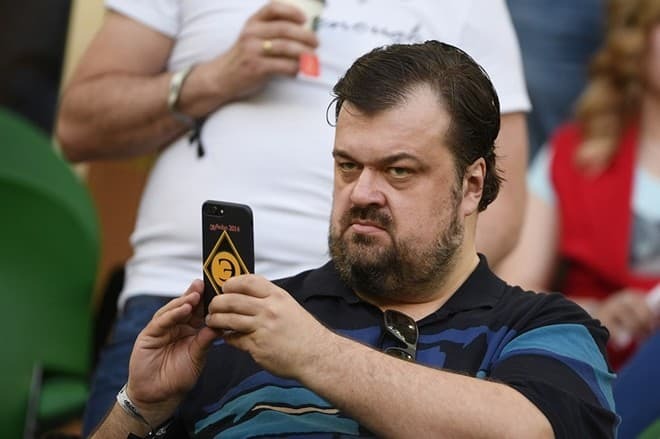 The sports expert from "Moscow Komsomolets" newspaper Valery Nepomnyashchy, the former coach, told that leaving off the forward can result for Spartak poorly. 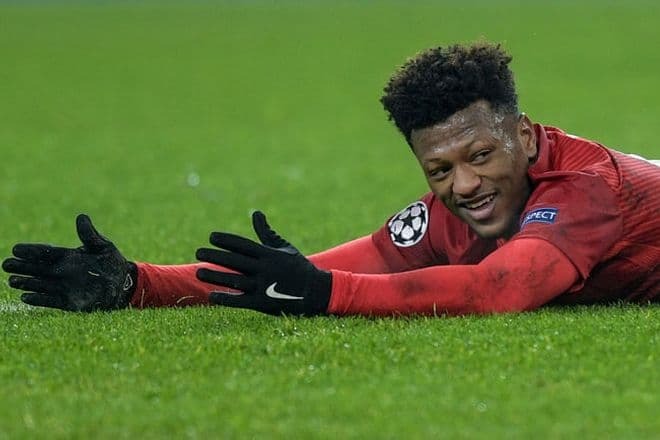 And Luís confessed that he hadn’t got any offers yet which would satisfy both parties that’s why he didn’t plan to cancel the contract with Moscow Spartak. The forward of Spartak team has played for the national team of Cape Verde in the group round of the qualifying tournament of FIFA Championship 2018. Unfortunately, the national team of his native country hasn't passed the qualifying selection.